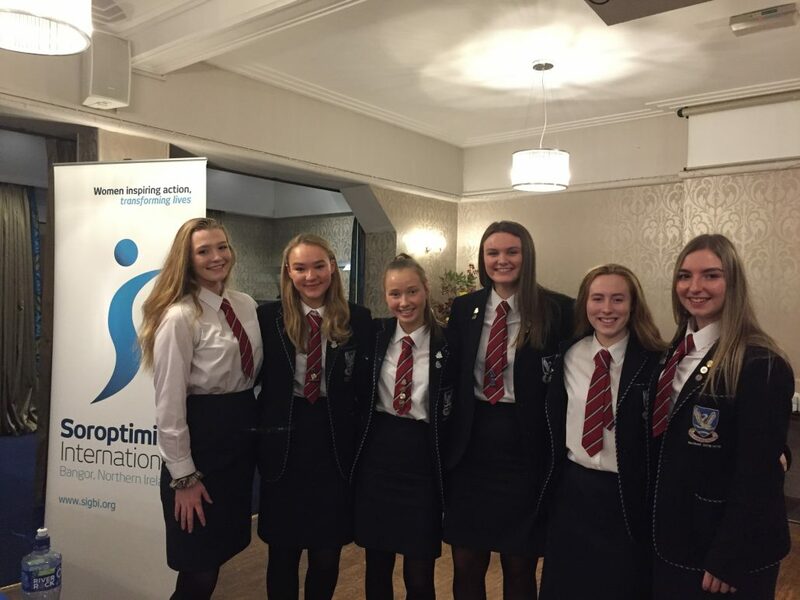 Last night six Year 13 pupils from Glenlola (Grace Arnold, Jenna Fletcher, Jessica Lord, Lucy McCune, Katie McDowell, Rebecca Webb) competed in the local heat of the Soroptimists’ Public Speaking Competition. 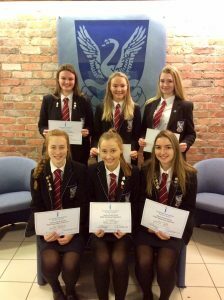 A total of fifteen pupils from Regent House, Nendrum and Glenlola delivered speeches of between 4 to 6 minutes on a variety of topics. The adjudicators awarded first place to Katie McDowell who spoke on the topic, ‘You are Right to Protect Yourself’, Rebecca Webb was placed second with her speech, ‘What is Normal is Decided by the Society in Which we Live’ and Jessica Lord’s speech, ‘Is Loneliness just an Issue for the Lonely?’ secured her third place. 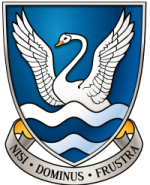 All our pupils delivered their best performances and were a great credit to the school. Katie McDowell will represent Glenlola in the Northern Ireland final on Saturday 9th February 2019 in Hillsborough Village Centre at 12 noon.